What constitutes “festive attire”? What about “black-tie optional”? 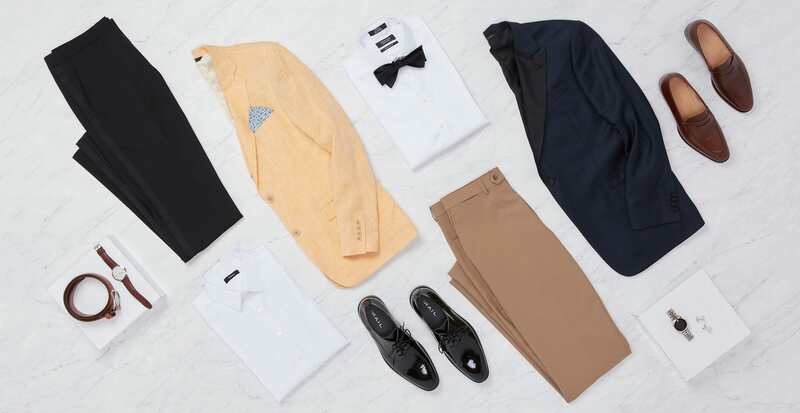 Isn’t every day technically black-tie optional? We’ll show you how to decode a few common wedding dress codes, and if we didn’t cover one in particular, shoot your stylist a message and they’ll be more than happy to help sort it out. You don’t NEED to look like James Bond, but you could if you wanted to. 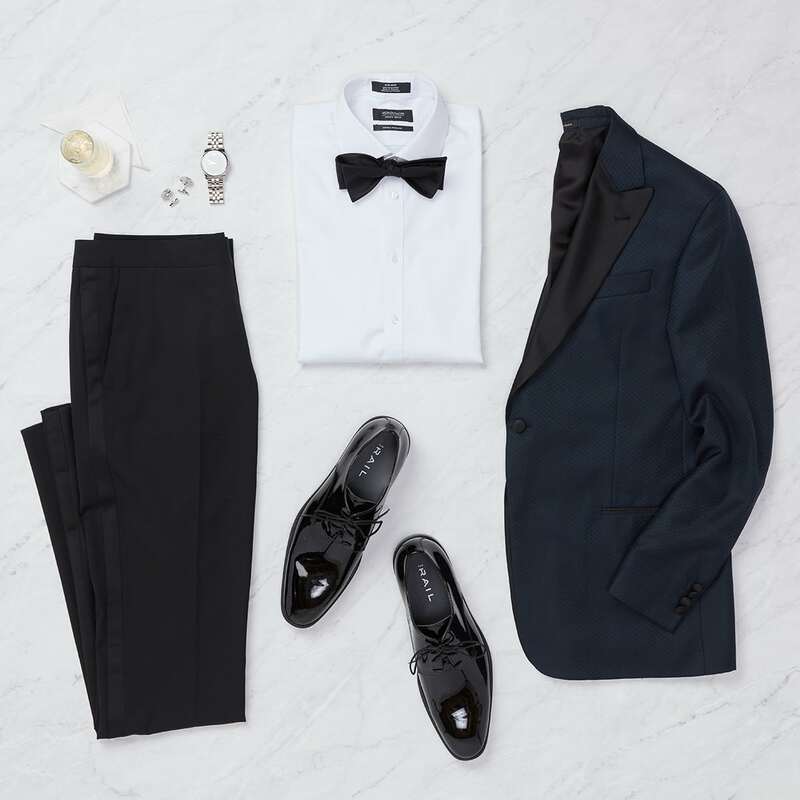 For this category we recommend a tuxedo or a dinner jacket with black patent-leather shoes. This is also your chance to break out the cufflinks. 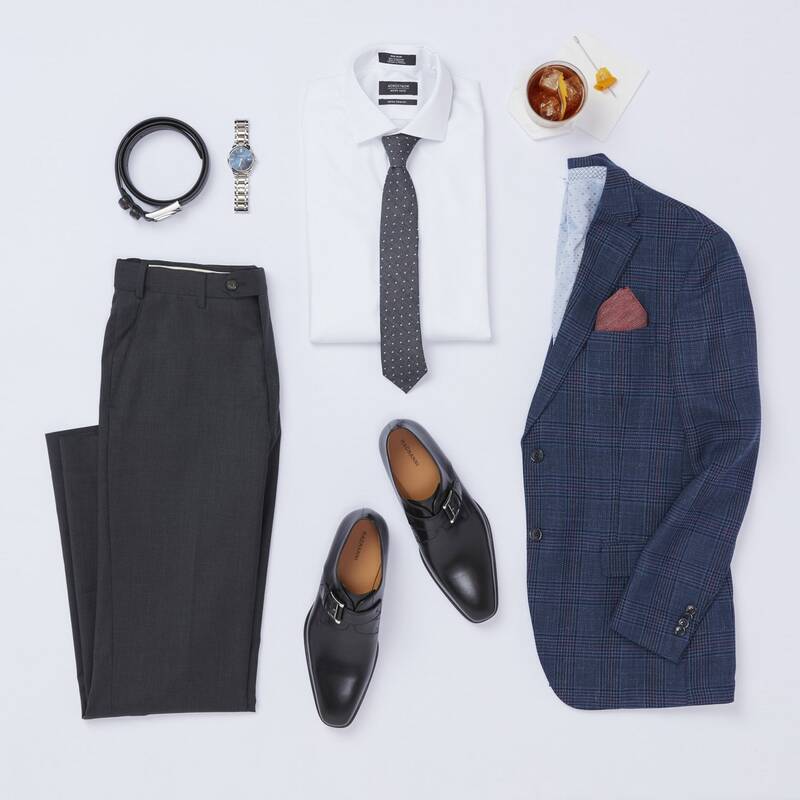 Sport coat, trousers, shirt, tie, dress shoes. Err on the side of keeping your color palette pretty neutral, but that doesn’t mean you can’t show personality. Your tie, coat, and accessories are opportunities for pattern and color. Here is where you get to play around if you’re feeling it. 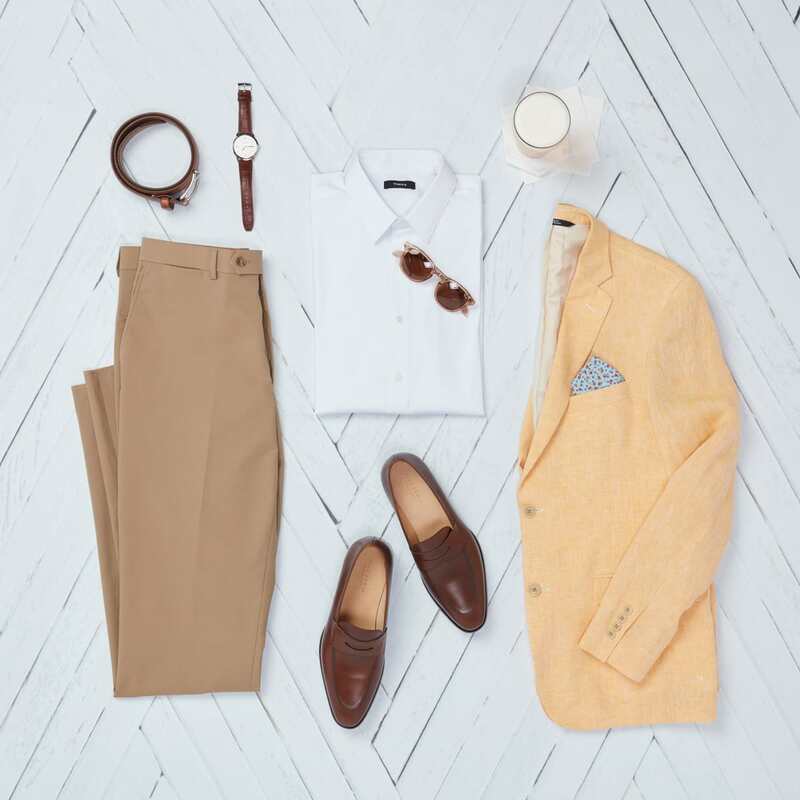 You can experiment with fun colors, patterns, trends, and details on your sport coats, or accessories like socks and pocket squares. Note: no tie or bowtie required.